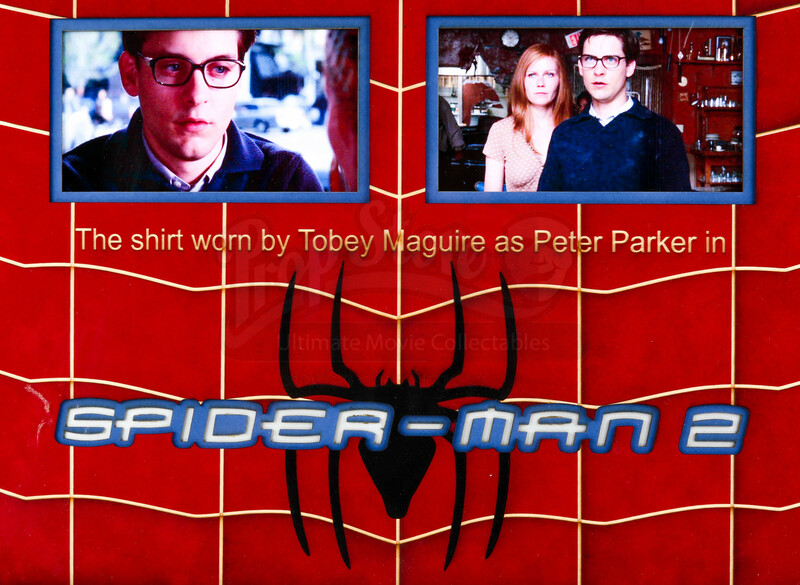 A shirt worn by Peter Parker (Tobey Maguire) in Sam Raimi’s 2004 superhero film Spider-Man 2. 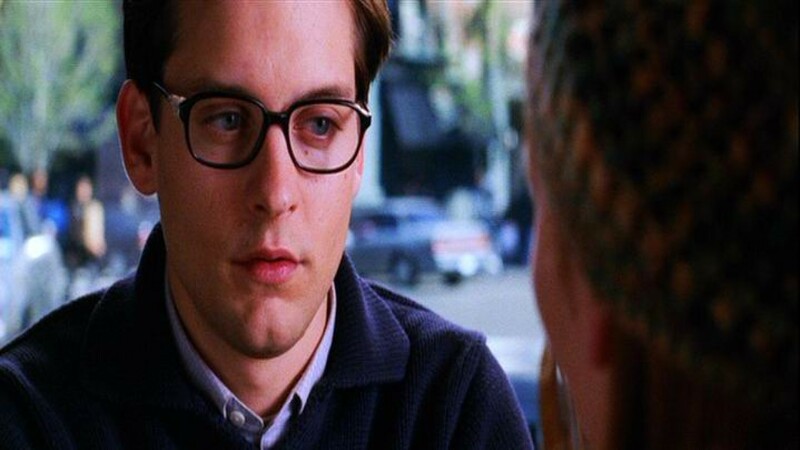 Peter Parker is struggling to balance being Spider-Man with his failing personal life, and he comes up against a villainous and brilliant scientist called Dr. Otto Octavius (Alfred Molina). 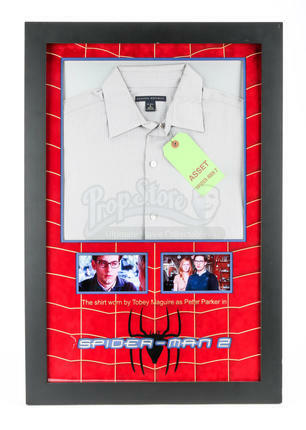 This checked shirt was worn by the actor in the scenes halfway through the film when Peter and Mary-Jane (Kirsten Dunst) are having a meal, and Peter is telling her he can finally be a part of her life, when Doctor Octopus comes and kidnaps her, forcing Peter to don his costume once again. 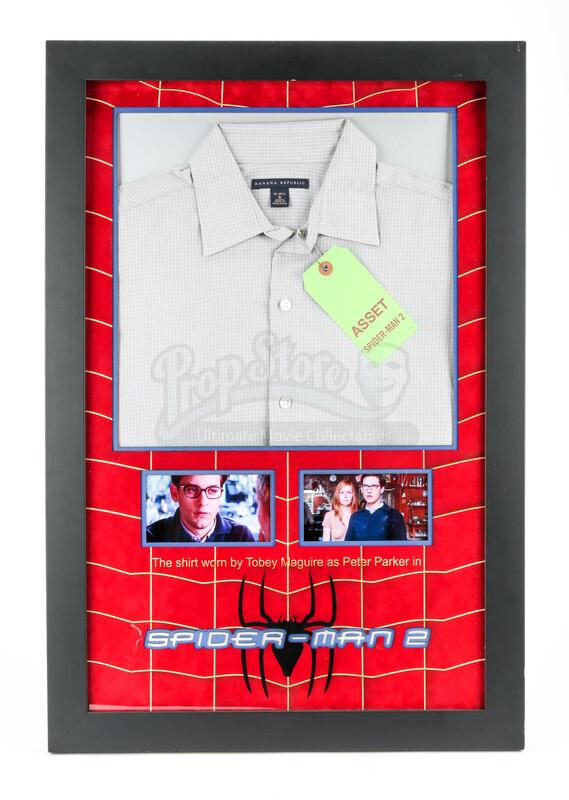 This shirt comes custom framed in an elaborate ‘web design’ laser cut mount board with the film title and movie stills showing the actor wearing the costume. 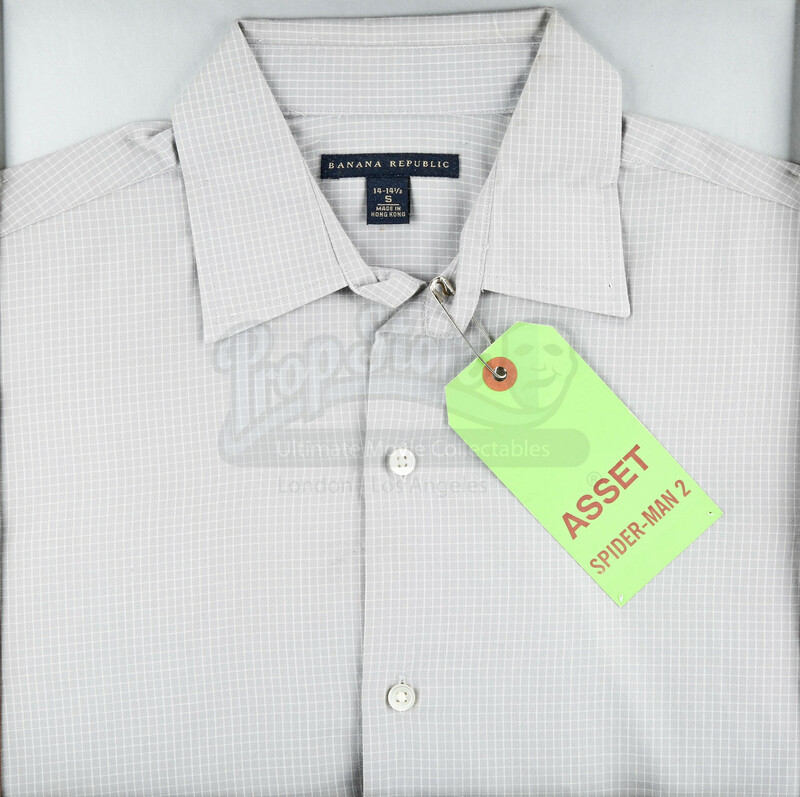 It comes complete with a tag from the production to confirm its authenticity. 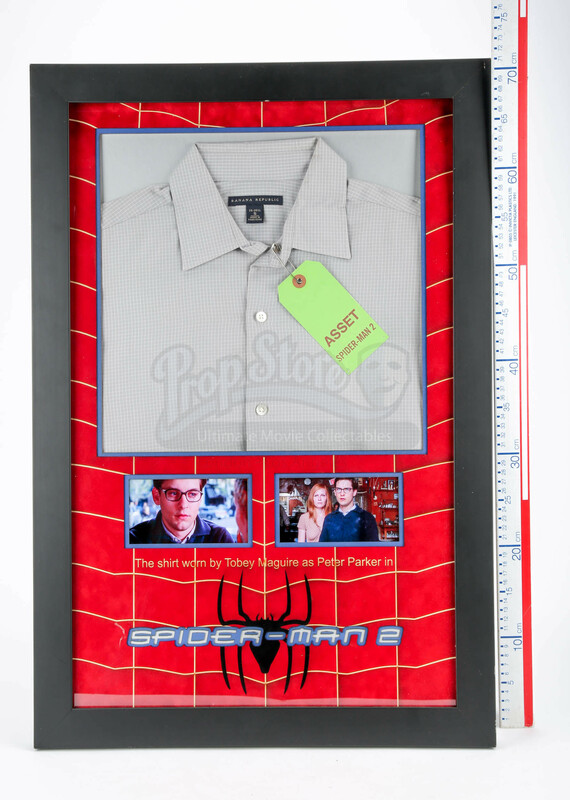 This piece has some minor wear from storage and age, including a couple of scuffs and scratches, but it otherwise remains in an excellent condition. 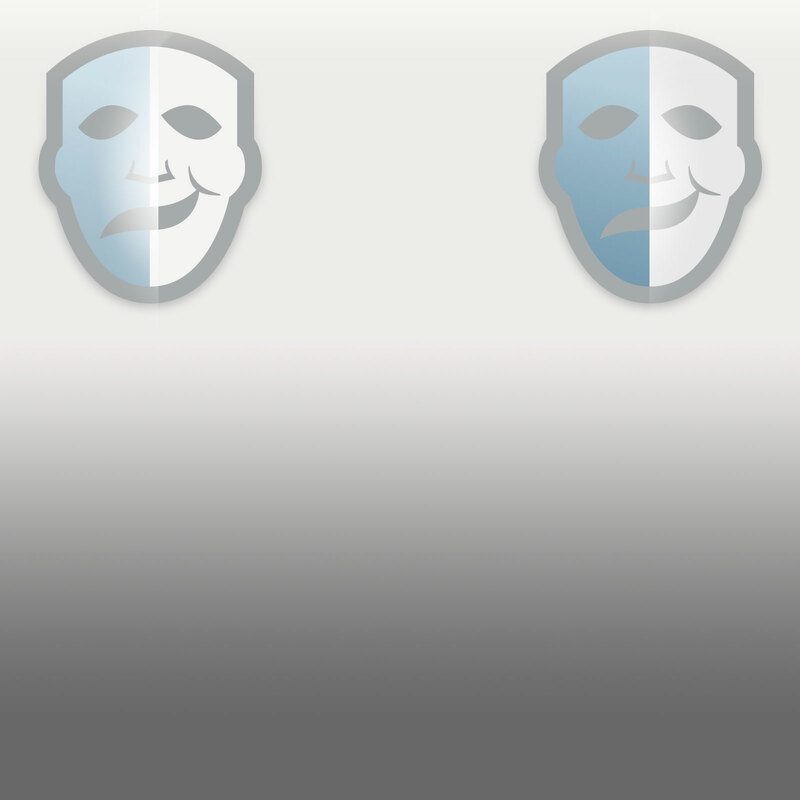 Materials: Card, Wood, Acrylic, Man-Made Woven Fibres, Ferrous Metals.